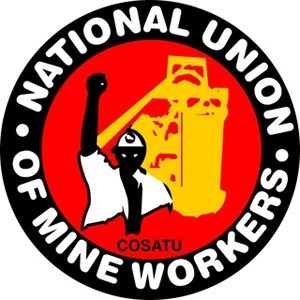 Johannesburg - The National Union of Mineworkers (NUM) will present its members at the Northam Platinum [JSE:NHM] Zondereinde mine in Limpopo with a proposal to end their strike, the union said on Monday. NUM and mine management developed a draft memorandum during talks on Monday, NUM chief negotiator at Northam Platinum, Ecliff Tantsi, said in a statement. "The parties were engaged in a tedious engagement to try and find a solution," Tantsi said. NUM called on its members to attend a meeting on Tuesday morning at which the memorandum would be discussed. Operations remained suspended at Zondereinde on Monday, while mine management and the NUM leadership met to discuss the ongoing unprotected strike, the company said earlier. "Discussions continue between management and NUM leadership," said spokesperson Marion Brower in a statement. "Northam Platinum Limited advises that the situation at the company's Zondereinde Mine remains unchanged." On Friday, management temporarily suspended its operations to ensure the safety of its employees and company property. More than 5 200 NUM members went on strike on Tuesday night last week. On Wednesday, the Labour Court granted an interim interdict to end the strike. Brower said a large number of employees indicated they wanted to return to work on Thursday, in line with the court ruling. Disciplinary proceedings, including dismissals, would be implemented for those who did not return to work, she said. The strike has resulted in production losses of around R11.5m per day, while employees forfeited wages and benefits of around R2.4m per day, she said.